Jake Lassiter faces an ethical dilemma that isn’t on the Bar exam…and might get him killed. In his toughest case yet, he’s sleeping with Gina Florio while defending her mob-connected, homicidal husband in a wrongful death suit. One false move, and Jake will be gator bait. When environmentalist Peter Tupton freezes to death on Florio’s property on the hottest day of a sweltering Miami summer, Jake becomes convinced that this death was no accident. Determined to uncover the truth, he follows a trail of evidence that leads him deep into the Everglades, where Florio is apparently pursuing a scheme to bring casino gambling to an Indian reservation. Jake discovers that what’s really going on is a far more sinister plot that oozes corruption, blood and money. Living by his own rules, the savvy Jake Lassiter battles a world of deceit, perversity and mayhem to risk body and soul for truth, justice and the Lassiter Way. 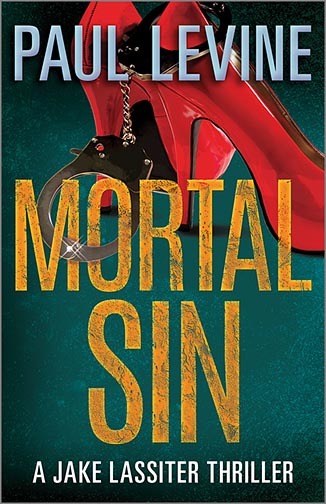 Read what others have to say about Paul Levine’s Mortal Sin.